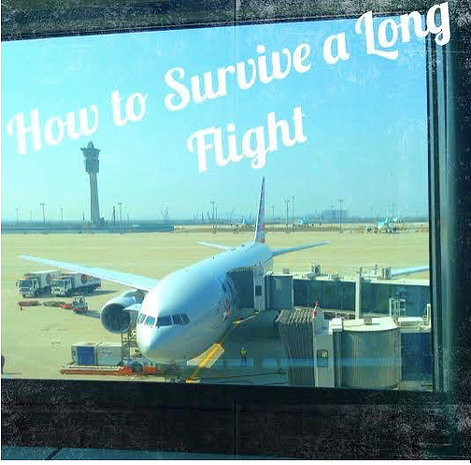 Some of my favorite tips for a long flight can be found at Allegorize Magazine! Check out allegorize.com or follow the link below. …and Alissa Teacher is officially back in action! I recently flew down to Miami from Detroit to interview for a job teaching ESL …and I landed the job! I’m currently sitting in a South Beach party hostel scouring over tomorrow’s lesson plans and I honestly couldn’t be more excited! 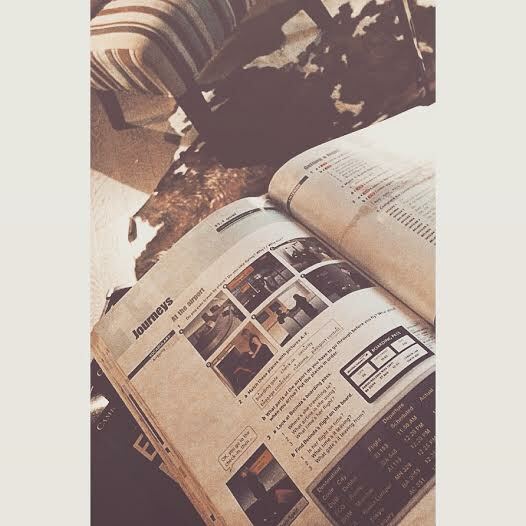 I never thought I’d get the opportunity to teach English in America, but here I am in Miami – apartment shopping! The only difference I’m seeing with my past job in Korea verses teaching English in the US is that lessons here are centered around adult students. I’m having a hard time transitioning my quirky teaching style to fit a more formal and mature approach. 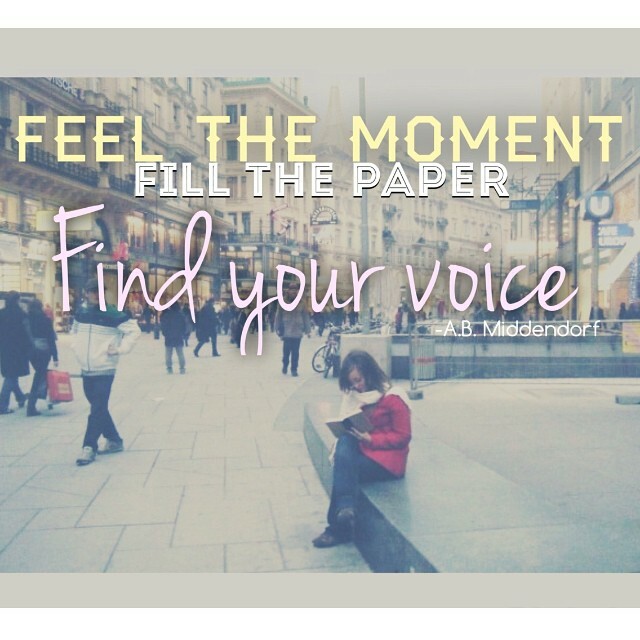 Any adult ESL teachers out there – I am happy to take some pointers! Here’s a sneak peak at what I’ve been working on lately. 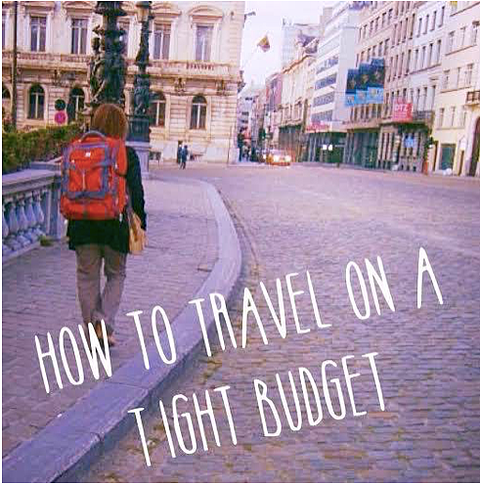 In this published article, I talk about some of my favorite budget travel tips. Take a look and support me! Thanks fellow bloggers! New opportunities are on the horizon! I’ve left Korea, but my love for the English language continues as I embark on my newest journey! Updates coming soon! Today in activity class, I was getting the supplies together for our play doh activity. I just stood in the doorway for a few seconds as it all registered in my head. What did this six year old little girl just tell me? She said this all so seriously and genuinely, I couldn’t help but laugh. It’s also worth noting, her word choice was thoroughly thought out as she refuses to use the word “fat” because it has a negative connotation. These children amaze me with their genuine, yet thorough understanding of the world around them…and at SUCH young ages! It’s so awesome (in every sense of this word) to watch them grow each day. I came back with all the supplies for our play doh pandas and showed the girls a picture of what we were about to make. A half hour later, all the pieces were in one place and we had Polly the Panda, Cutie the Panda, and Cutie the Panda number 2. In retrospect, that activity reminded me a lot of my mom. She always tells me to take things a bit at a time rather than crossing bridges before I come to them. Life’s little lessons and priceless moments….I’m thankful for them all. 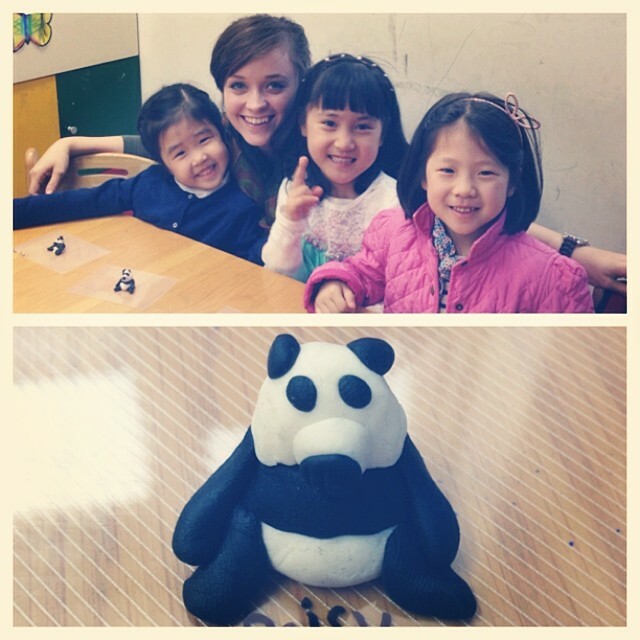 Sally, me, Olivia, and Daisy all posing with our pandas! Enough beating around the bush. I’m over writing passive aggressive status updates. If I get in some kind of trouble for writing this good, it means that I have a decent reading base and I’m capable of satisfactory social media. The facts need to be known. I spent the last week scouring the internet for any possible information on this school and I only found a few bad reviews on well known ESL websites and a blog from three years ago, so at least this school has been consistent. Tn English has not paid their English teachers for half of the month of January, all of the month of February and come April 15th they will owe us for the entire month of March. Teachers are paid monthly. I’m ready to start charging some interest or something! The school currently has six English teachers and one was recently hired last week, the school currently owes five of these teachers thousands of dollars each. The Korean staff also hasn’t been paid. The school lost around eight students this week for various reasons. The school recently fired the cleaning lady and now the teachers are responsible for vacuuming, sweeping, dusting, trash, and any other cleaning within their own classrooms. No, we are not paid for this extra work. And no, this work was not in my contract. We really don’t get vacation days even though the contract states we get several days of vacation in addition to Korean holidays. The school has not paid rent on some of the teachers’ living quarters. Sick days? You better be on your death bed and have a doctors note from the hospital. Management has conducted individual meetings with all English teachers and told us to keep quiet and not tell the others what they told us in our meetings, like they were offering each of us some sort of secret special deal. They can tell me to keep quiet all they want, but I will make my blog as publicly accessible as possible and tag as much of their lies and wrong doings for all the world to see. ***It’s worth noting not all hagwons are this bad. 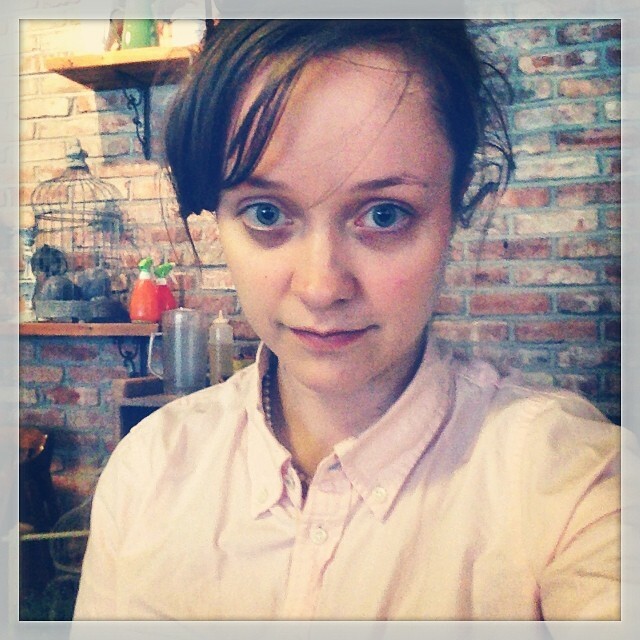 I have many friends within the Gwangju area who are completely happy with their company and are treated wonderfully. Also, my recruiter has done an amazing job getting me in contact with relevant resources and keeping record of all the wrong-doings from the school. I truly don’t know what I’d do without the guidance from my huge support system at Teach ESL Korea. I think my story goes without saying, PLEASE research your schools before accepting a contract. A miracle: something that seems impossible but happens anyway. 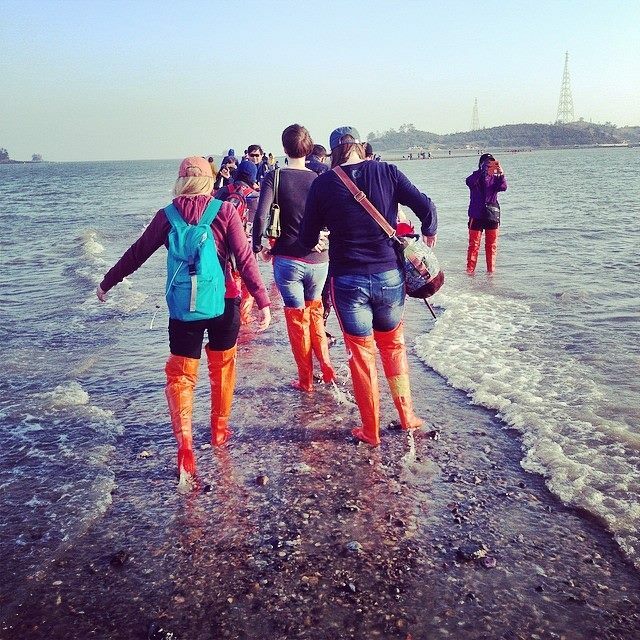 Science explains the “miracle” is a result of extra low tides (click here for an actual National Geographic explanation), but either way the Jindo sea parting festival was an incredible experience not only to walk the path but to see sea life that I’ve only ever read about in books. As we trudged through the miraculous path, we found some areas not completely clear. At times, we found ourselves sinking quickly into thigh-high waters. A Korean news crew followed us. 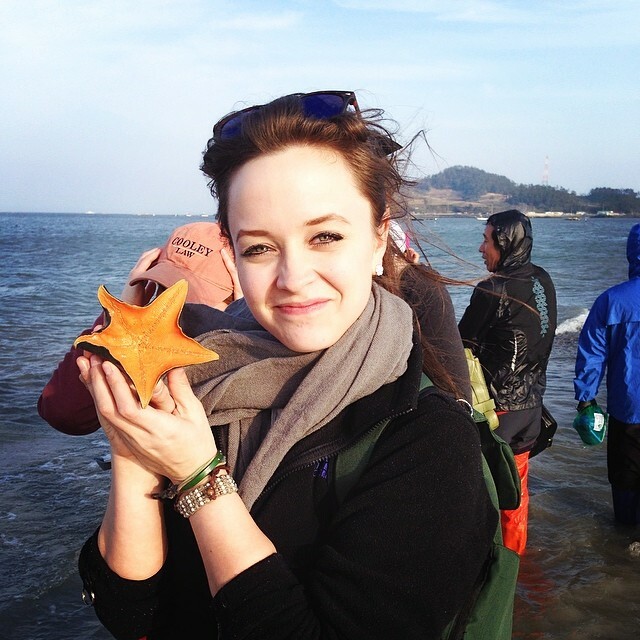 A starfish! We threw it back into the water. One of the coolest experiences was being one of the first people out there. We were followed by Korean news crews daring enough to bring cameras into the sea. While locals followed beside us gathering the freshest seafood to cook and sell, we just tried to keep on the path to make it to Modo Island. 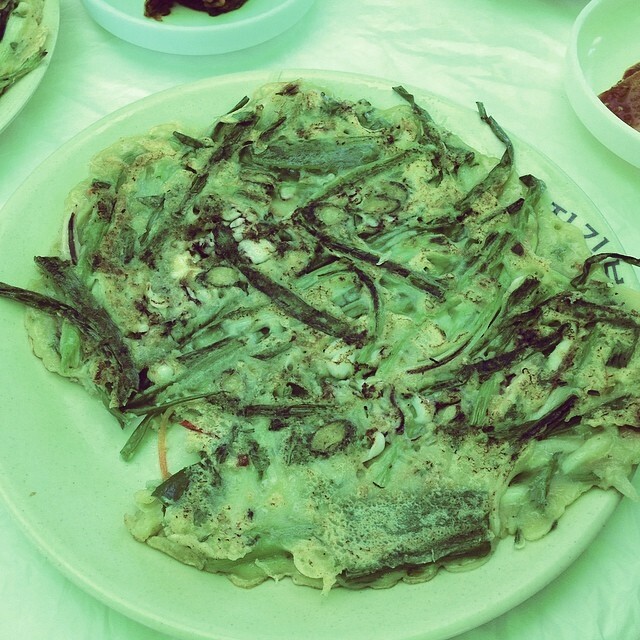 A seafood pancake full of seaweed, squid, and other goodies! Unfortunately, the tide came in quickly and we weren’t able to make it completely to Modo Island, but we were part of the group that was furthest from the main island. We followed the warning calls and went back to land before we were completely swallowed up by the tide…and it came in quickly. I’m writing this blog post two days after the fact, and my legs still hurt from walking against the strong current during the walk in. 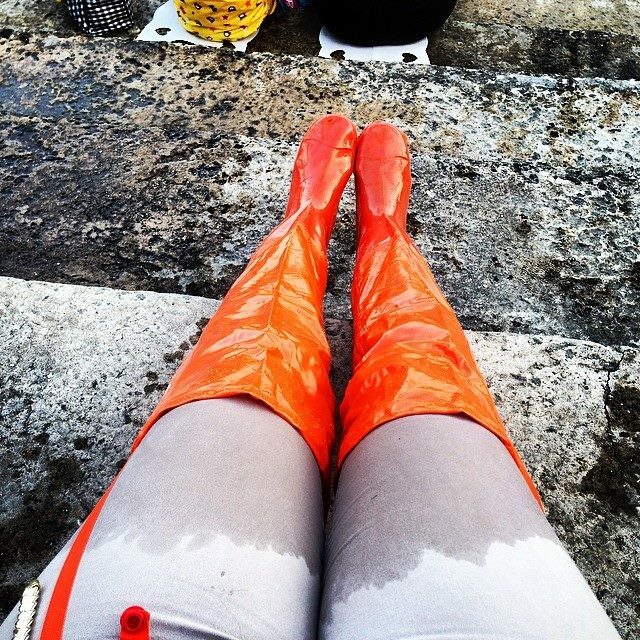 On my way back, my thigh-high boots filled with water so I was also sloshing around in my boots. We all made it back to land and pulled our boots off to find we had taken parts of the sea with us; I literally POURED water out of my boots! As I sat on the stairs and poured out my boots, I watched the last of the daring souls get rescued because they didn’t take the warning whistles seriously. So much for the thigh high flood boots. 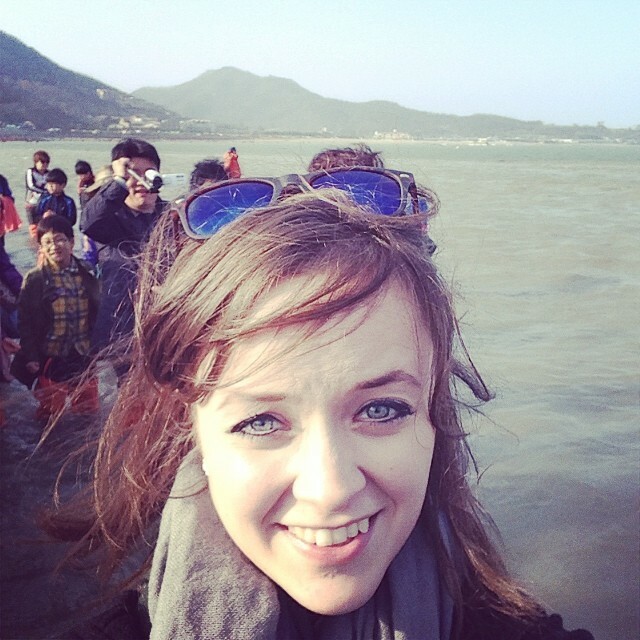 The Jindo sea parting festival has got to be one of my most memorable experiences here. If anyone reading this is interested, I went with an awesome tour guide and I’ve done several trips with him before. Pedro Kim rented out several comfortable buses and took us to several locations on the island, including a Jindo dog show! In spite of the circumstances at work, I’m glad that my co-workers and I still have these moments to appreciate. 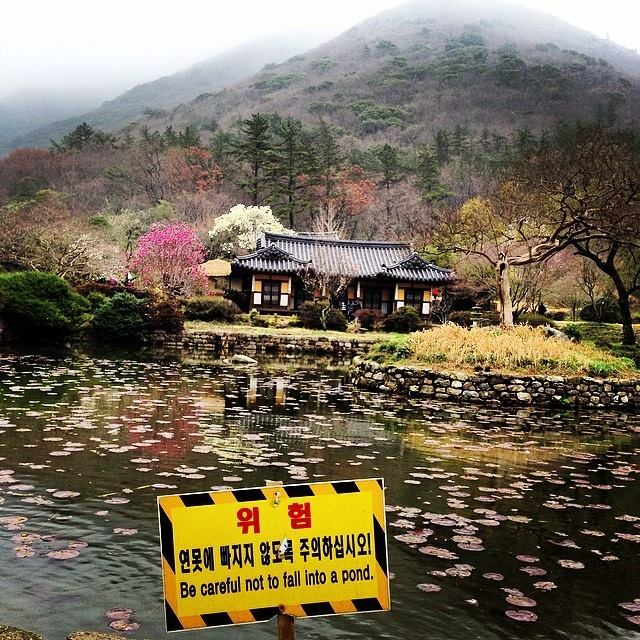 One thing is for sure, I’ve found a whole new love for nature while living in Korea. From gorgeous mountaintops to sea parting adventures, we live in one amazing and awe-inspiring world. Moses status! This was toward the middle of the sea! Maybe this whole “not getting paid in months” debacle is just one really big April Fool’s joke and all the money they owe us will just appear tomorrow morning! Now I feel like an irrational child on Christmas eve waiting for Santa to deliver my cotton candy tree house. Off to sleep and dream of sugar plums. When life gives you lemons, you have several options: tequila shots, lemon tea, freshly squeezed lemonade or maybe even grill some salmon and drizzle the sweet and sour goodness all over a feast. But really, that is one thing I keep telling myself. Right now, I feel like I’m at the tip of a cliff determining whether to jump or to run the other way, but that’s just it…I have options. One can fight back. Think of it like a challenge. One can run and never look back. I’m getting really good at walking out with my head held high and my dignitity in one piece. As for the path I’ll choose, I’ll keep the world posted. Stay tuned for more updates on my ever changing life. I’ve never had a manicure, pedicure, massage, or facial, so when my co-workers insisted I join them for facials, I was very apprehensive. Turns out, the doctor is more like a psychologist and doctor wrapped in one. She had a consultation with me which turned into a whole psychological discussion about where my stress might come from. I wanted to tell her the truth, I so badly wanted to blurt out the truth. Sometimes, I feel like I’m being held hostage. It’s a lose/lose situation right now. After fighting back tears, we went onto another discussion…about religion. I told her I studied religion in college and she seemed really intrigued and wanted to get me in contact with her mother who is really into the new-wave Buddhism. She also told me in order to help with my stress, I need to talk more. If only she knew the truth, if only she knew the things we can’t talk about. She said my facial would also include a massage to help with my stress. The whole process took about two hours. My facial consisted of some type of strong cleanser followed by some intense machine that looked like a huge electric razor spewing steam. I took one look and closed my eyes. It turns out, this machine takes off all the dead skin. So, in a way, it’s like a razor. After the razor, Dr. Sophie came back to work on spot treatments, in other words…popping one pimple at a time. After my facial, I had a massage and it was anything BUT relaxing. Apparently, I have two huge knots on either side of my neck that the doctor had to put all her weight on to try alleviate. Needless to say, the knots are still in my neck and I’m still super sore. After the massage, I had one more mask that looked like slices of yellow cheese and my face was wrapped in plastic wrap. While I laid there all wrapped up in plastic wrap like dinner leftovers, I had a wonderful leg massage! They put what Monica claims looked like astronaut socks on my legs and the magical socks did all the work! The socks would fill with air and the air systematically get tighter and loose depending on the focus of the massage. All in all, it was a great experience and I will be back to visit Dr. Sophie. Post-facial. My skin has never been so clear! Post-facial dessert: lemon tea. 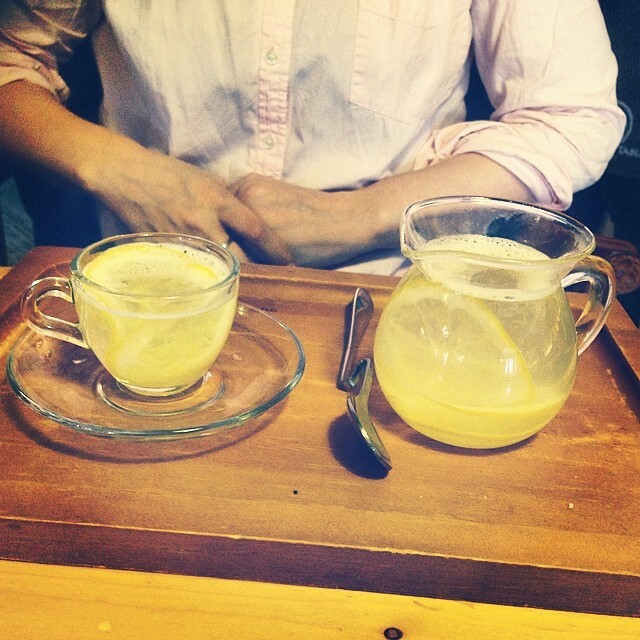 When life gives you lemons, it’s tea time.